Great Book For Beginner Chicken Farmers!! The Chicken Health Handbook is full of helpful hints on how to raise your chickens right. 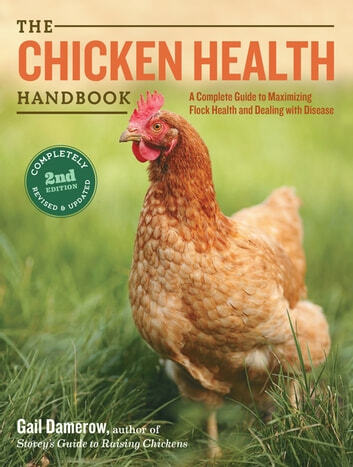 This book is filled with information like on what to do if your chicken gets sick, when or if to give your birds vaccinations to simple things like how to make the best coop that you can in order for your chickens to remain healthy and happy. I love books like this that help you understand things that you really don't have a clue about. I don't have any chickens now but once that day comes, I will be more informed on what to feed them, care for them and how to make my coop the best for the chickens. I will most likely be buying the hardcover version of this book once I do get chickens just to have it around! Thank You Gail Damerow for writing a book for people like me who want to raise chickens but don't have a clue on what we are doing! I received this book from the Publisher via NetGalley in exchange for a honest review.